People who don't go to church don't want to go to church. For folks like me, who love going to church, that's hard to wrap our heads and hearts around. Because of that, we sometimes get our priorities mixed up. When people get to know Jesus, church attendance is a natural outgrowth of wanting to spend time with other people who love Jesus, too. We want to be discipled. To become more like Jesus. That's the role of church. When we put church attendance ahead of knowing Jesus, even chronologically, we can unintentionally send people the wrong message – that salvation is about church attendance. 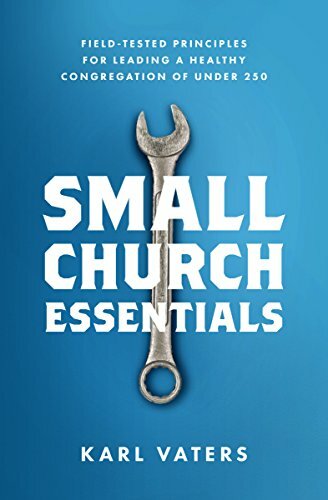 Why do we put ‘inviting people to church’ so high on our evangelism priorities list? Because it's easy. Inviting someone to a church event is easier than inviting them to see Christ in me. Inviting someone to a church event is easier than inviting them to see Christ in me. When church attendance is our first (or only) step in evangelism, we end up putting on a show for them. But people don't want a show. And it's not what the church is supposed to be. I'm hugely in favor of making the on-ramp easy for first-time church attenders. But never at the expense of doing what we're supposed to do when we gather as the church – worshiping, discipling, having fellowship and preparing people for ministry. Copyright © 2016 by the author or Christianity Today/Leadership Journal.